It’s an inevitability: Every new version of a major software title introduces new bugs. 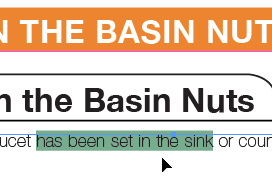 I’ve just encountered one in InDesign CC, and it didn’t take an inordinate amount of sleuthing to identify its source. The problem surfaced when I started working on a publication designed by a client, which I am expected to translate, with the required adjustments to the layout for the French text. I have been doing this for this particular client for a couple of years now on various publications in the same series, so the files in question were nothing new. 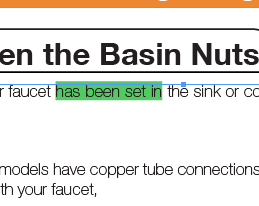 What was new in InDesign CC, however, was that sometimes the application switched from my regular selection highlighting colour (a dark green) to a different shade. The problem was not purely cosmetic, however. The selection colour was different, but there was also a noticeable degradation in selection highlighting performance. In other words, when I dragged the mouse around to extend or shorten the current selection, there would be a small delay between my movements and the corresponding changes on the screen. I am someone who works very fast, and this delay was very noticeable to me, making me consistently miss my targets because the screen display was no longer in sync with my mouse movements. It was very irritating. I started exploring InDesign CC’s settings, to see if there was something about the display performance options that had changed. But I couldn’t find anything obvious. I also quickly noticed that the problem seemed to come and go as I was working on my publication, for no visible reason. So this led me to suspect that the problem might have something to do with anti-aliasing. But turning anti-aliasing off altogether didn’t fix the problem — somewhat to my relief, since having to work with anti-aliasing would definitely have hurt my eyes. I was back to square one. Then, while I continued working on my publication, I noticed that the problem only seemed to affect certain pages in the publication. So it was not randomly intermittent. It was intermittent because there was something on some pages that caused the problem to occur. 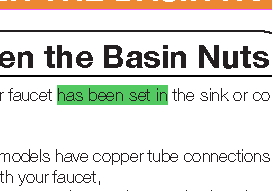 I ended up narrowing it down by creating a copy of the publication and deleting a bunch of stuff. Within a few minutes, I was able to establish that the problem was most definitely caused by the presence of a link to a Photoshop document (a “.psd” file) on the page. As soon as I deleted the link, the selection highlighting colour reverted back to the expected shade, and the normal selection highlighting responsiveness was back. As soon as the link to the Photoshop file was restored, the problem reappeared. I was able to reproduce this in a blank document with a link to another Photoshop file, so it does not seem to be linked to a particular Photoshop file or to other aspects of the publication. So here we are… A new bug to add to the list. For what it’s worth, I have reported it via this page. This entry was posted by Pierre Igot on Tuesday, August 13th, 2013 at 3:38 pm	and is filed under Macintosh. You can follow any responses to this entry through the RSS 2.0 feed. Responses are currently closed, but you can trackback from your own site.